Join the 2020 Summit at Sea Advance Notice List! When WE brag about the Summit, it’s just a sales pitch. Fair enough. But after 15 straight years of taking surveys and getting RAVE reviews – and even more importantly, having a HUGE percentage of repeat registrations, we’re pretty confident the Summit ROCKS! 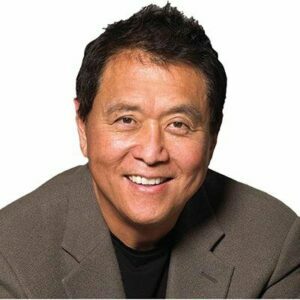 Of course, Robert Kiyosaki isn’t the only best-selling author and investing expert that’s a MULTI-TIME Summit faculty member. The list is long and distinguished, including Peter Schiff, Tom Hopkins, G. Edward Griffin, and Chris Martenson. Each year, we record at least one episode of The Real Estate Guys™ radio show while we’re on the ship. Last time, we had SO many faculty members, we recorded TWO full shows with our all-star faculty’s reflections on our epic adventure together. As you’ll hear, none of our faculty are hired guns. They all LOVE the Summit and give GENEROUSLY of the time and wisdom … and that’s why so many come back year after year after year. And there’s a LOT more where those came from. But you get the idea. If you attend … or if you don’t? Consider the value of just ONE great idea, opportunity, or strategic relationship! Of course, there’s no guarantee you’ll personally profit from your Summit experience. But we’re pretty sure none of the smart, high-powered people on the next Summit will be headed to your house anytime soon. The Summit is the ULTIMATE investing education and networking event. And it ALWAYS sells out. We’ve been at this for fifteen years. No one has EVER walked away saying the Summit wasn’t totally worth the time and expense. In fact, over 75% of the people on last year’s Summit re-registered… without having any idea who was coming or where we were going. Remember … just ONE great idea or relationship can make all the time and expense totally worth it. World leaders and banking elite have sometimes secret summits to make their plans for managing the global economy. What they decide affects YOU…whether you like it or not. Isn’t it time YOU and other investors got together with the best and brightest experts to make YOUR plans to grow and protect your wealth from whatever the central planners decide? That’s why we’re proud to bring you the 12th Annual Investor Summit at Sea™ featuring an amazing line up of speakers like Peter Schiff, Ken McElroy, Tom Hopkins and MANY, MANY more! And NEW!!! Simon Black of Sovereign Man will be with us in 2014!!! There are experts in real estate investing, economics, precious metals, oil & gas, infinite banking, asset protection, syndication, real estate development, and even sales. It’s intense. But it’s fun. 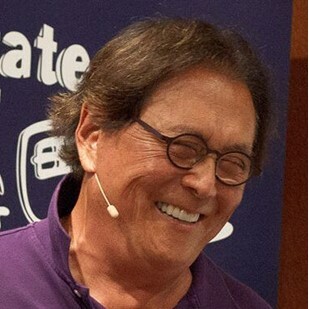 Robert Kiyosaki came in 2012 and loved it. But don’t take our word for it. Click here to hear directly from Robert. The timing couldn’t be more important. The world is changing at an amazing pace. The Summit is your opportunity to discover trends, develop strategies, make connections and get away from the daily grind to focus on your future. Where else on earth can you go to get a week with this caliber of thought leaders? Nowhere. It doesn’t exist. And this Summit won’t exist for long either. The ship is filling up and even the Summit isn’t until March, we’re running out of space. We know it’s a big decision. It’s a lot of time and money. But in the past 11 years we’ve never had anyone say it wasn’t worth it. So we want to strongly encourage you to seize the day and reserve your spot today. Click here now to learn more about the Summit. Or fill out the form below to schedule a personal consultation. 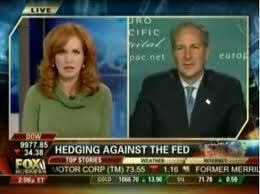 You may have seen Peter Schiff on one his many appearances on financial media like MSNBC, Fox Business News and CNN. Maybe you’ve listened to the Peter Schiff radio show or have seen Peter speak at live conferences like Freedom Fest, The Money Show or The New Orleans Investment Conference. But now you can enjoy an entire week learning and talking with Peter and the rest of a world-class faculty aboard a luxurious cruise ship during the 17th annual Investor Summit at Sea™! Think about all that’s going on in the world…things that affect YOUR finances. Central banks around the world, led by the Fed’s unprecedented amounts of “quantitative easing”, have flooded the global economy with currency. Many countries are experiencing NEGATIVE interest rates! Attempts to normalize have failed … just as Peter predicted. China’s moves to replace the U.S. dollar as the world’s reserve currency. What does that mean for bond prices, interest rates and gold prices? The stock market is roaring back. Will the party last or is another bubble brewing? The U.S. is election remains one of the most controversial in recent memory, and 2020 is around the corner. How will partisan politics affect the global economy and YOUR investments? Real estate values have risen, but are flattening out. The population is growing and more people are renting. Is there still money to be made in real estate? Are you ready to mitigate risks and capitalize on the opportunities? When you attend the Investor Summit at Sea™, you’ll enjoy more than a week of education, networking, conversations and total focus on new strategies and opportunities to profit from what’s coming. There are seminars, panels, roundtable discussion, small group dinners with faculty members, and private cocktail receptions. This isn’t the same group of experts you see on the circuit of every other investment conference. 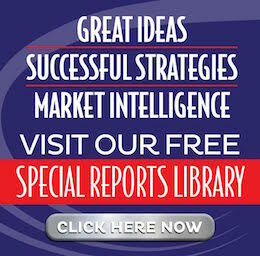 You’ll get new ideas, fresh perspectives and an eye-opening dynamic from experts in real estate, precious metals, oil & gas, infinite banking, global economics and more! Serious investors are concerned about what’s happening in the world. But they also know with every challenge comes great opportunity. This may the most important investment you make this year. 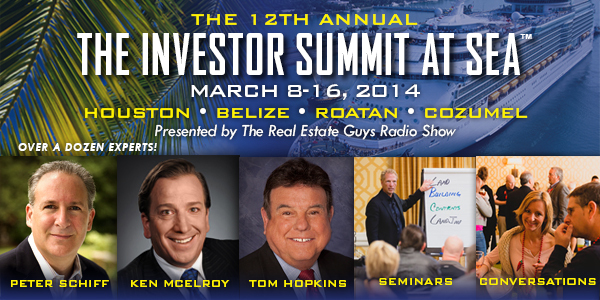 Get on board the 17th Annual Investor Summit at Sea™! Click here to learn more now or fill out the form below to schedule a call with a Summit specialist. Please provide more details of how you heard about the event (who referred you, etc). Do you remember the old “new” economy? That was the one where technology companies could go public without profit. In some cases, they didn’t even need revenue. Ahhhh, those were the days. The new “new” economy (the Great Recession one) hasn’t been nearly as fun – unless you’re an old school entrepreneur. That’s the kind who looks at problems as opportunities. Guys (and gals) like that are having a lot of fun right now because there are opportunities galore coming out of the Great Recession. The Real Estate Guys™ headed off to Freedom Fest in Las Vegas a few weeks back. We heard that money manager / economist / author / Senate candidate Peter Schiff would be there (among many other people with very strong opinions about the U.S. economy) and we wanted to do some interviews. We’re happy to report we got lots of great stuff, including Mr. Schiff and the CEO of Forbes Magazine, Steve Forbes. Watch for those interviews in future broadcasts. So we fly into Las Vegas in our private jet (the one operated by Southwest Airlines), and get to the convention venue and start setting up our booth. Before the event had even started, a man stops by and sees our banner for Belize (we were promoting our upcoming field trip to Belize) and asks a few questions. The short of it is that we find out he’s working on a very exciting project in the Caribbean – one that solves a problem we’ve been trying to figure out too. Russ gets so excited that he hugs the guy. Very weird. After the appropriate apologies and some follow up male bonding, our new friend agrees to do a radio interview. And that’s what this broadcast is all about. Any time we get around smart people, we jump on the opportunity to talk with them. In this case, Russ literally jumped on Jeff. When Jeff recovered, we got him on the mic, so you can listen to what he’s doing, where he’s doing it and why. There’s lots of lessons to be gleaned! Freedom Fest is an event that attracts people with strong political opinions. In many of the interviews we did there, those opinions come out. Great! We think the world works better when people respectfully debate important issues. Sharing ideas is among the most sacred of our freedoms, especially if you’re radio guys. We also realize that the U.S. (the bulk of our audience) is pretty polarized right now. Now, we love our entire audience and our show isn’t political. However, policies affect economics and economics affects real estate. 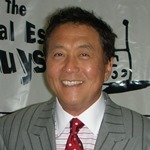 There shouldn’t be a serious student of real estate who can look at the last several years and deny that. So politics are going to get into the discourse from time to time, which is a very good thing. We think these Freedom Fest interviews are great. If you disagree with the political views of our guests, don’t let that get in the way of hearing what’s being said. Here’s why: a big part of real estate investing is understanding demographics and human nature. How people think and believe affects where they (and their money) will be moving. Even if you disagree with them, if they believe it, it will affect their actions. So YOU need to understand them (even if you disagree) if you want to anticipate their behavior. Did we mention that Jeff’s project is in St. Kitts? It just so happens that St. Kitts is one of the stops on our upcoming 9th Annual Summit at Sea! So we ask Jeff if we can visit his project as part of our already planned real estate shore excursion in St. Kitts. Not only does Jeff agree to allow us to visit, he says he’ll meet us there and show us around. Awesome! Once again, we’re reminded of the importance of getting out of our cubicles and into the world where real people are. No doubt that virtual networking is powerful, but just as phones did not replace face to face meetings, neither will social media replace conventions as a great place to make important connections. This is one of the reasons we attend trade shows and promote our field trips and the Summit at Sea™. It’s a great way to get to know great people in the real world. We hope to see YOU at one very soon!